Many hobbyists enjoy collecting classic Morgan and Peace silver dollars from the United States or Canadian silver dollars from the mid 20th century bearing the likenesses of King George V, King George VI, or Queen Elizabeth II. But it seems far fewer coin collectors consider the world crown-sized silver beauties from Mexico. The coins of Mexico should hold a special place in any U.S. coin collector's heart, for it's the earlier coinage of the Latin American nation that once circulated alongside that of our own early Federal money. The Spanish Pieces of Eight and its fractional parts, along with coins from other nations, served as U.S. legal tender for the first eight decades of our nation's existence, from 1776 through 1857. Mexico would produce other large silver coins in later years, including the silver One Peso coins of the late 19th through mid 20th centuries. 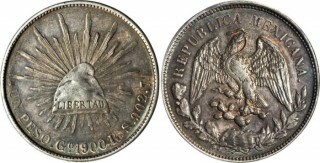 Mexican silver pesos were struck from 1898 through 1967 and are usually collected by hobbyists and included in date sets, world crown sets, and topical collections. These silver Un Peso coins contain various amounts of silver, from 90% silver in the early 1900s to as little as 10% silver in the 1950s and 1960s. For collectors who wish to build a set of silver One Peso coins, they can choose one of the two usual coin procurement routes: shopping at the local bricks-and-mortar coin dealer or turning to the internet. 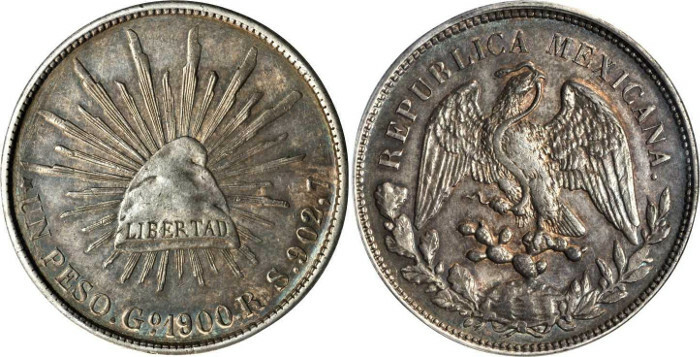 While Mexican silver coins are indeed a specialized niche area of collecting, surprisingly a large number of traditional dealers stock these numismatic silver coins since they are actively traded for their bullion content. Finding specific dates this way may be hard. For that reasons, hobbyists may find the offerings online more likely to provide immediate satisfaction. Few Mexican silver One Peso coins are difficult to find in the absolute sense, though there are certainly a handful of issues that can be challenging to track down – those, as one might expect, are mainly the pieces listed individually above among the scarce dates. Collecting Mexican silver Peso coins can be a fun and rewarding numismatic objective for any hobbyist. Those who study up on these silver peso coins and really get a grasp on the peculiarities of these gorgeous coins are sure to enjoy some good deals, too.